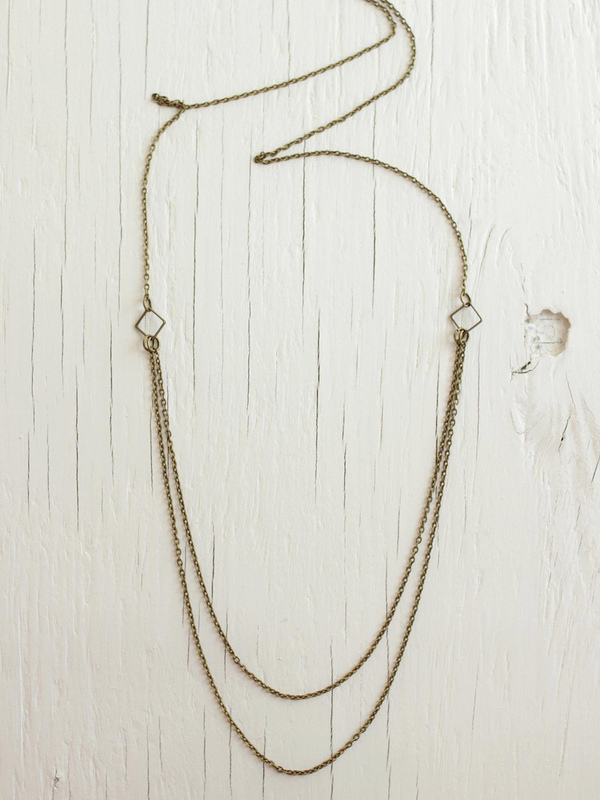 Multi-chain layered necklace. Made with a rustic steel chain. 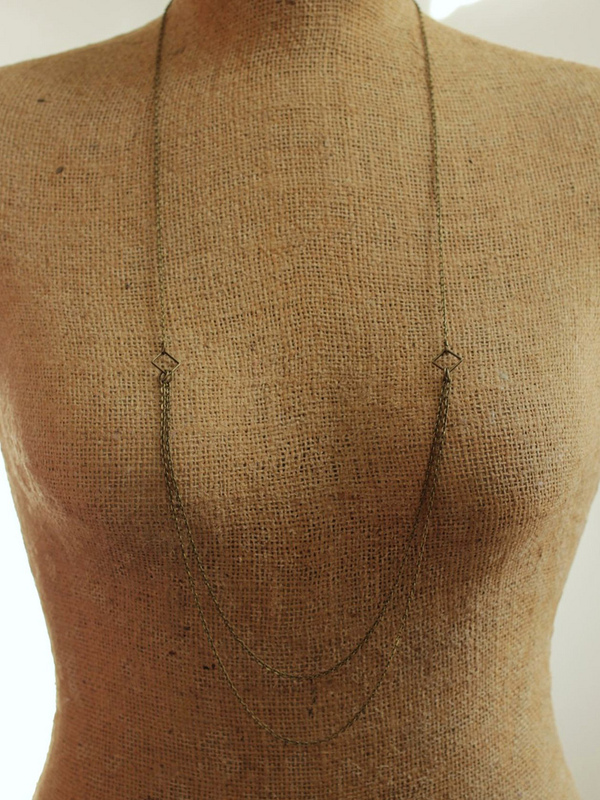 Layered chains are draped from a square jumpring. 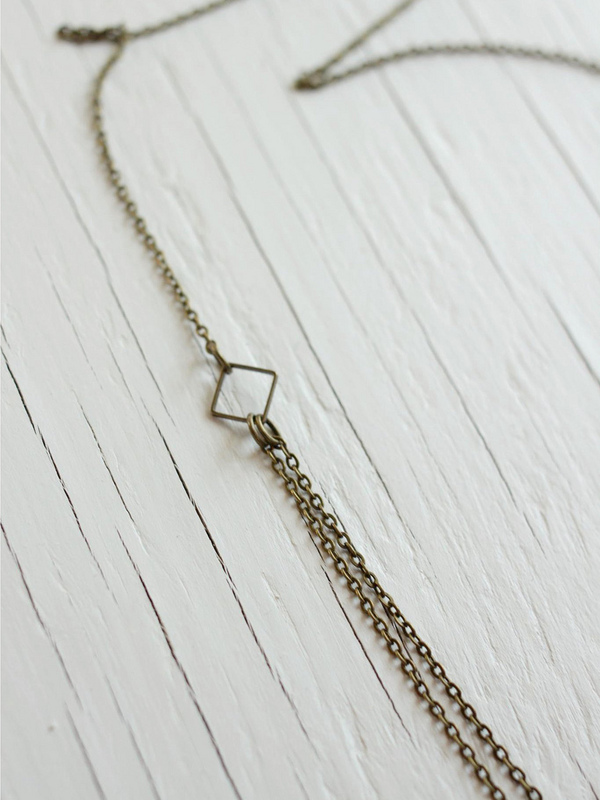 Steel chain is a rustic bronze color that goes perfectly with everything. 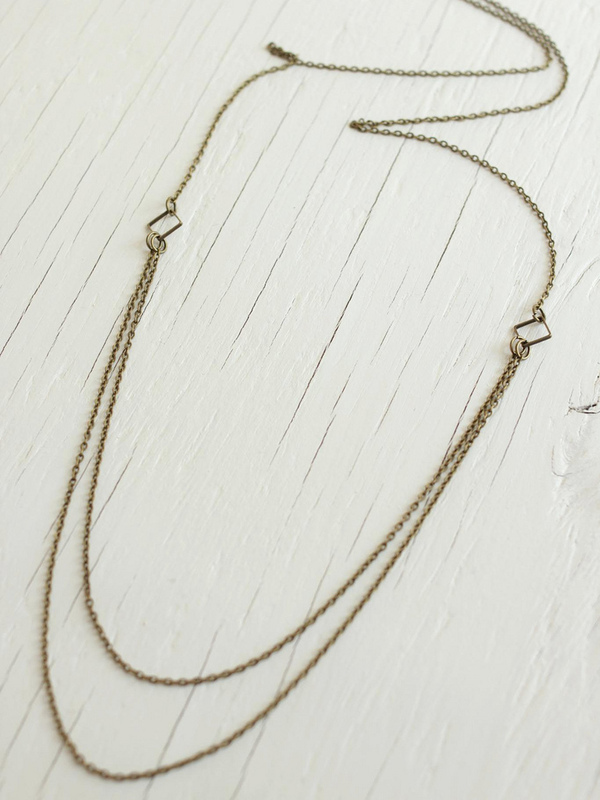 Necklace hangs long 38 inches (96.5cm) and closes in the back with a clasp. Handmade in Brooklyn.